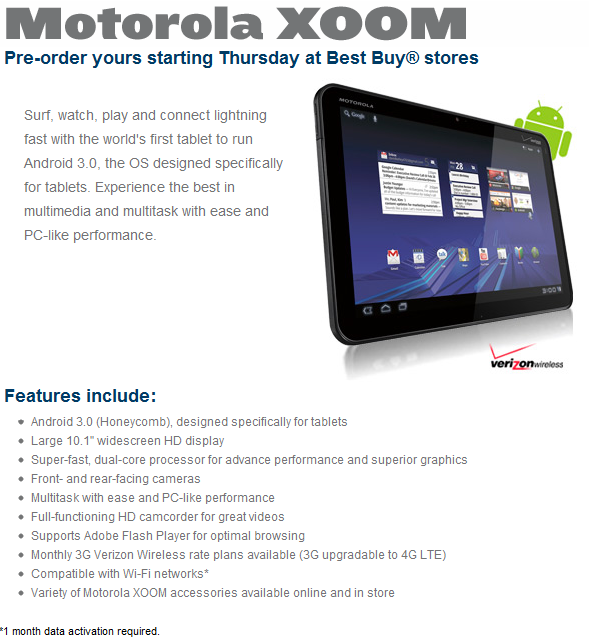 Less than a week after the Best Buy ad for the XOOM was leaked, the official pre-order page has launched. Stunningly, the price quoted on the website is $1,199.99, significantly higher than the price quoted on the original ad which was $799. 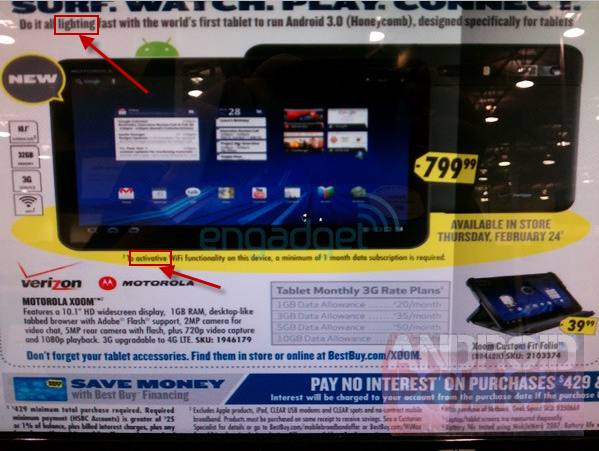 If true, the price is an exorbitant markup over the retail price shown in two separate tips we've received of the product listing in the Best Buy systems: both show the XOOM as costing Best Buy $550, with the employee price being just $577.50. 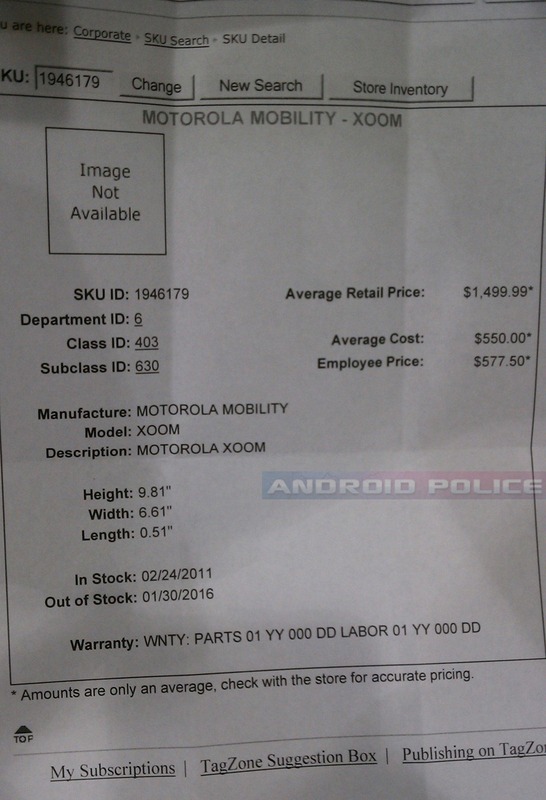 Even at the originally leaked price of $800 retail, that's a markup of roughly 45%. At $1200, the markup is 118%. As mentioned before, the ad also seems to make it clear that a one month data contract is required for activation. It is likely that the contract can be cancelled after the first month, but this is an unnecessary hindrance to buying what already appears to be a highly overpriced device. The system for pre-ordering has clearly not been fully implemented yet, as there is no way to actually place an order. However, this obscene price may be the unsubsidized 3G model, much like buying a smartphone without a carrier subsidy. 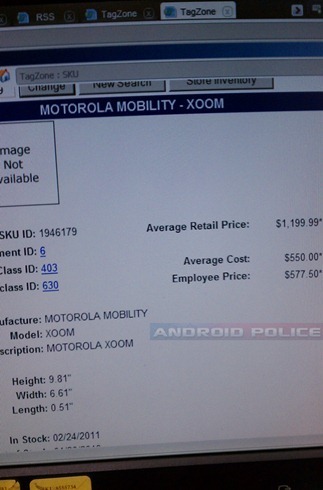 If that's the case, it may make sense to wait a few months for the Wi-Fi only XOOM, which may be a lot cheaper. 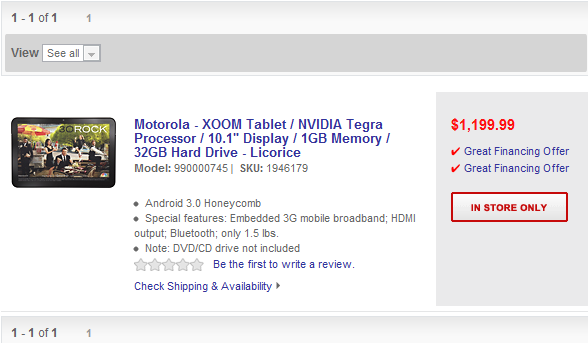 Would you be willing to buy the Motorola XOOM with Android 3.0 (Honeycomb) for the price of TWO iPads?